Easy Dyslexia Aid is a wonderful application and a welcome addition to the assistive technology market for dyslexia. “Probably the best function of Easy Dyslexia Aid, is its ability to do what it is meant to do straight away. The absence of unnecessary ‘options’ pages ensures that learners with specific difficulties can quickly start using the app. Dyslexia is primarily associated with trouble reading. But it can also affect writing, spelling and even speaking. Dysgraphia mostly shows up as writing difficulties. Kids with dysgraphia may struggle with handwriting, organising their thoughts on paper or with both of these activities. Easy Dyslexia Aid can support with both these conditions and serves as an extremely useful companion both inside and outside the classroom. Upon opening the application you are presented with a clear blue user-friendly interface. The instruction ‘Touch mic & talk’ is displayed above a circular mic symbol that is inviting to touch. On touching the symbol, you are asked to ‘Talk.’ By pressing done the app will process what has been said and proceed to produce your input. The word or short phrase you have spoken is displayed in the developer’s own ‘Open Dyslexia Font’. This font has been created with letters using heavy weighted bottoms to indicate direction and to reinforce the line of text, which aids in recognising the correct letter, and sometimes helps to keep the brain from rotating them around. The Open Dyslexic Font is displayed in a choice of 8 background colour combinations, as a means to accommodate users suffering from Dyslexia and improve readability. This feature can be changed in the settings which are also easily navigated to from the main screen. Additionally, within the settings, you can choose to turn off speech output is you wish, display upper and lower case letters and change between 18 different languages. The voice synthesis technology used is of a high standard; audio output is clear and the voice recognition software is second to none when compared with many applications of a similar nature. “We are suitably impressed with this application because Easy Spelling Aid is actually much more than a spelling and reading helper – as if that was not already enough! It is a very special go-to literacy and learning tool that defeats dyslexia and dysgraphia through the use of colour backgrounds and special fonts. Also, beyond giving kids instant help to spell problematic words, it is a friend to children at the primary level from all backgrounds because it boasts superior, accurate and incredibly fine-tuned speech recognition in multiple languages, including English, Spanish, Chinese, German, French, Turkish, Italian, Japanese and more. Through this educational compelling app, young students everywhere are starting to enjoy the benefits of self-directed learning by not having to wait for help from parents or teachers, which is a big plus. It even helps kids learn about homophones and to better understand word usage by giving them exercises in comprehension and vocabulary, even going so far as to use context to determine the correct spelling of a word; for example, “they’re playing over there, in front of their house” or “two friends had too much to eat” Extraordinary stuff! What makes Easy Spelling Aid unique is that it breaks away from simply teaching a list of spelling words. Instead, it acts as a tool when a child is faced with a word they do not know how to spell. Improving literacy performance and working to help children learn to spell is a significant part of the app’s design, value and purpose – which sets it apart from anything we have seen. As a real mind boggler, we tested the app to its limits, by speaking the word “supercalifragilisticexpialidocious’ into the app with an east coast Canadian accent and believe it or not, it replied instantly, spelling the word correctly. Children today look for help almost instinctively to their iPads, tablets or smart phones. This new Easy Spelling App from Australian developer, Nuapp Productions, is designed for both the iPhone and iPad, and is simple to use, while being extremely sophisticated in what it offers. Pupils merely touch a large picture of a microphone and say the word or short phrase he or she needs to spell. They then press the word ‘Done’ and the word comes on the screen correctly spelt in the hand writing style of their, or their teacher’s choice in both capital letters and lower case. The style can be set in advance and will stay that way until changed. The handwriting choices are, Two UK styles are Jarman and UK Cursive, and two Australian styles, Victoria modern cursive, and New South Wales foundation manuscript. Then USA D’nealian manuscript. The international appeal of this app is exceptional as it supports 19 languages, including UK, American and Australian accents. My friends and family who are multilingual have tested French, German, Russian, Dutch, Italian and Japanese, and found that the speech recognition and the written spelt results are amazingly accurate. All this for the download price of £2.29 UK! This is an unusual piece of software that really does what it claims. Even the most Luddite IT-hating teacher would have to admit the usefulness of this little teaching aid. Once downloaded, no further purchases are required. Updates will arrive automatically. November 2015 – Nuapp Productions P/L is pleased to announce that Easy Spelling Aid has been honored with a 2015 Academics’ Choice Smart Media Award, a prestigious seal of educational quality, reserved only for the best mind-building media and toys. The independent Academics’ Choice Awards program and its seal of excellence are recognized worldwide by consumers and educational institutions as a mark of genuinely effective learning tools that stimulate the mind, and provide potential for the student to fully develop higher order thinking skills. 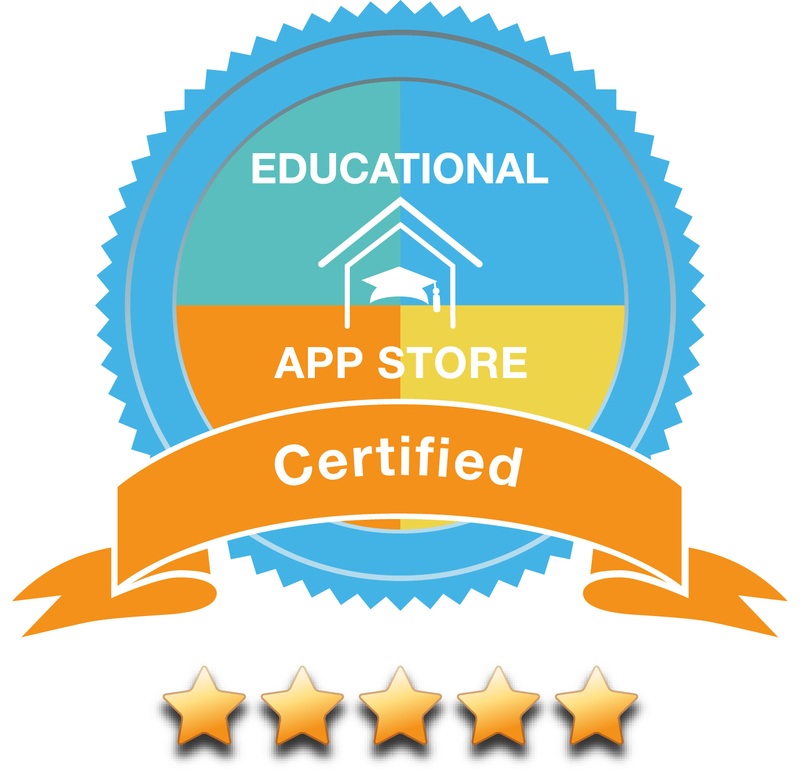 Easy Spelling Aid is a winner of the Academics’ Choice Smart Media Award in the mobile app, category. The Academics’ Choice Advisory Board consists of leading thinkers and graduates from Princeton, Harvard, George Washington University, and other reputable educational institutions. Product-appropriate volunteer reviewers, combined with the brainpower of the Board, determine the coveted winners. Entries are judged by category (i.e. mobile app, toy, book, website, magazine, etc. ), subject area, and grade level, and evaluated based on standardized criteria rooted in constructivist learning theory. The full list of winners is posted online at www.AcademicsChoice.com. July 13th 2015 – Easy Spelling Aid is the perfect tool to help children learn the how to spell and write words at home and school. Created by the Australian firm Nuapp Productions, the Easy Spelling Aid app doesn’t just teach users a long list of words, it instead acts a tool to help children with a specific word they don’t know how to spell. A child’s creative process of writing can be abruptly halted when they stumble across a word they can’t spell. Aimed at children aged 6 to 12, the Easy Spelling Aid app is designed to easily and quickly provide a spelling for a word without having to wait for a parent, teacher or assistant to help them. With an easy-to-use interface and seamless user experience, Easy Spelling Aid works by displaying a large microphone icon that a child must touch before speaking a word or phrase they have been struggling with. The app searches its vast database and presents the word or phrase in both upper and lower case, enabling the child to correctly spell the word and continue with their work. As the app has been fine-tuned to pick up children’s voices, Easy Spelling Aid not only helps children with written words, but also helps exercise their comprehension and vocabulary. What’s more, with a number of different writing styles – including the Australian Primary School fonts – a child can improve their handwriting whilst learning how to spell new and difficult words. Perfect in a home setting, Easy Spelling Aid can effortlessly help primary school children who need assistance with homework when their parents are unavailable or unable to help. And, because of the huge glossary of words, parents can even learn along with their children. Easy Spelling Aid is available on iTunes for a one-off fee of $3.79 AUD and is compatible with all devices running iOS 7 and above. Download the Easy Spelling Aid today and help a child throughout their school years and beyond. 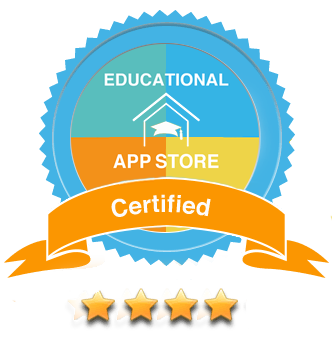 Apple have a Volume Purchase Program and can arrange for educational Institutions to purchase multiple copies of our app, minimum of 20, to receive a 50% discount. A literacy support companion for lower primary school students. My WordTrek Dictionary is a unique resource that supports students’ literacy development. It includes words accompanied by a definition and a sentence to help provide valuable real-world meaning for the student. Try Easy Spelling Aid & Easy Dyslexia Aid Today!! !